The Fiume Tevere (Tiber river) starts here, in the Tiber valley, locally known as VALTIBERINO”, a place full of memories of battles and meetings of Saints and Heroes. The valley is dominated by the mountain of “La Verna”, the sacred ground of San Francesco who stopped to pray there to feel closer to God. This mountain was so important to Michelangelo Buonarroti that he posed on the background of the painting “Tondo Doni“ so as to remind people that he was born there. 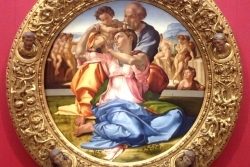 Tondo Doni is a very special painting: it is the only painting on panel by Michelangelo Buonarroti. It is round, hence its name "Tondo". It was a private commission for the rich Florentine banker Agnolo Doni. Michelangelo (born 6 March 1475) was a famous sculptor, painter, architect, poet, and engineer of the High Renaissance who exerted an unparalleled influence on the development of Western art. Despite making few forays beyond the arts, his versatility in the disciplines he took up was of such a high order that he is often considered a contender for the title of the archetypal Renaissance man, along with his fellow Italian “Leonardo da Vinci”. Michelangelo was considered the greatest living artist in his lifetime, and since then he has been held to be one of the greatest artists of all time. Two of his best-known works, the “Pietà “ and “David”, were sculpted before he turned thirty. Michelangelo also created two of the most influential works in fresco in the history of Western art: the scenes from “Genesis” on the ceiling & “The Last Judgment” on the altar wall of the Sistine Chapel in Rome. 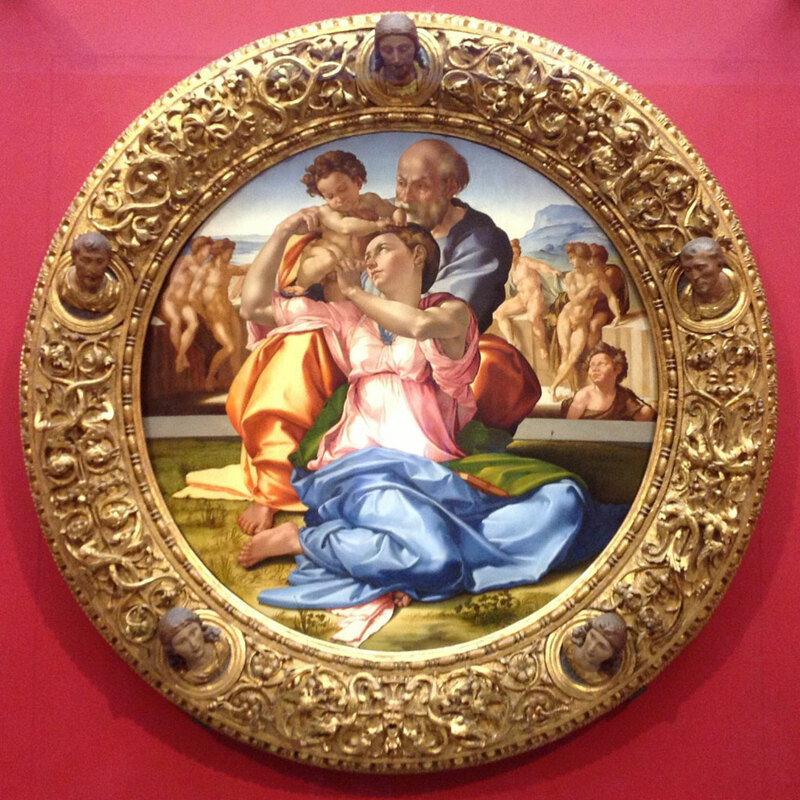 As an architect, Michelangelo pioneered the Mannerist style at the Laurentian Library. At the age of 74 he succeeded Antonio of Sangallo the Younger as the architect of “St Peters Cathedral” in the Vatican of Rome. Michelangelo transformed the plan, the western end being finished to Michelangelo's design, the dome being completed after his death with some modification. It is certain that the high castles that surround every part of the valley preserve the secrets and stories of the many famous people who have lived or passed through here. San Francesco (St. Francis), whilst travelling from “La Verna” to “Assisi”, was a guest of the “Count of Montauto” and so St. Francis gave him the chance to live the rest of his life in grace. It is said in fact that the Count of Montauto, three days before his death, in his sleep received the visit of a knight holding a lighted torch. Along the way on the “Via di San Francesco” ( San Francis road ) – we find a steep sheer cliff, a cliff called the “Hermit of Montecasale” and small grey stones, where St. Francis received the Sacred Stigmata and encountered the three robbers. Saint Francis is considered the first Italian poet by literary critics. He believed commoners should be able to pray to God in their own language, and he wrote often in the dialect of Umbria instead of Latin. His writings are considered to have great literary and religious value. On July 16, 1228, he was pronounced a saint by Pope Gregory IX and was buried in the “Basilica of Saint Francis in Assisi” on May 25, 1230. In 1440, in this strip of land in “Valtiberino” ( valley of the Tevere ) , the “Guelphs” and “Ghibellines” fought in combat. In memory of this battle. “Leonardo da Vinci” born in the Tuscan town of Vinci is known as the greatest inventor of all time, although he had very little effect on the technology of his time as he drew sketches and diagrams of his inventions, but either he lost interest in building them or was never able to convince his wealthy patrons to finance construction of his designs, as a result, almost none of da Vinci’s inventions were built during his lifetime. As he never published his diagrams, nobody knew about them until his notebooks were discovered long after his death. 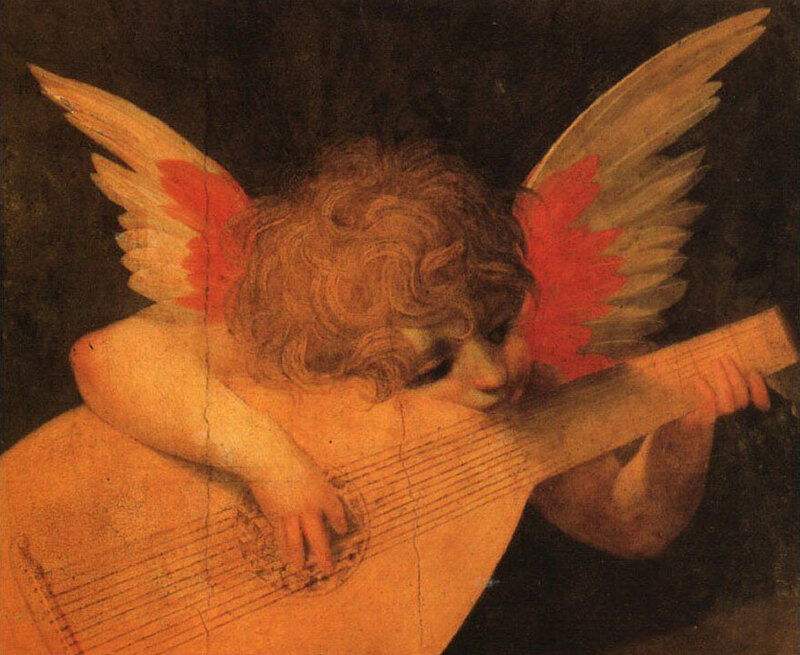 Today da Vinci’s designs are considered to be works of a genius, spectacularly ahead of his time. If they had been built, they might have revolutionized the history of technology, though many of them may have been impossible to build with the tools available in the 15th and 16th centuries. In recent years, however, engineers have begun to construct models of da Vinci’s amazing machines and most of them actually work. As an artist he chose to leave a record in the famous museum “Uffizi” in Florence. Leonardo was inspired by the mathematician “Luca Pacioli”, born in Sansepolcro and who lived with Leonardo in Milan. 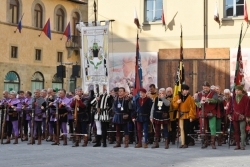 Today, this famous opera of art in the form of a fresco records the famous “Battle of Anghiari“ and according to Vasari is, reported to be somewhere in the "Palazzo degli Uffizi" (but apparently still waiting to be discovered).The famous ghost, “Baldaccio”, who lived in the “Castello di Sorci” tells of meetings between soldiers of fortune who conspired against the Pope or against Lorenzo of Medici. For this very reason, Pope Boniface seized the “Castle Bufalini” in Sangiustino and set it up as a defense fortress for the Papal States, in order to observe the Medici family, who were much feared neighbors. In 1524 "Rosso Fiorentino" an eclectic artist who painted the "Entombing of Christ", which in fact was the first work of art of the deposition showing Jesus being taken from the cross with his head pointing downwards, for which in fact he Rosso Fiorentino, was in fact convicted. 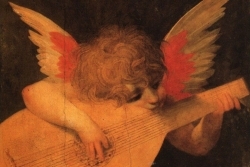 In the same years, the brothers Alberti and Raffaellin dal Colle painted the unique master pieces which are still today exhibited in the museum of Sansepolcro and in the town’s beautiful Cathedral. 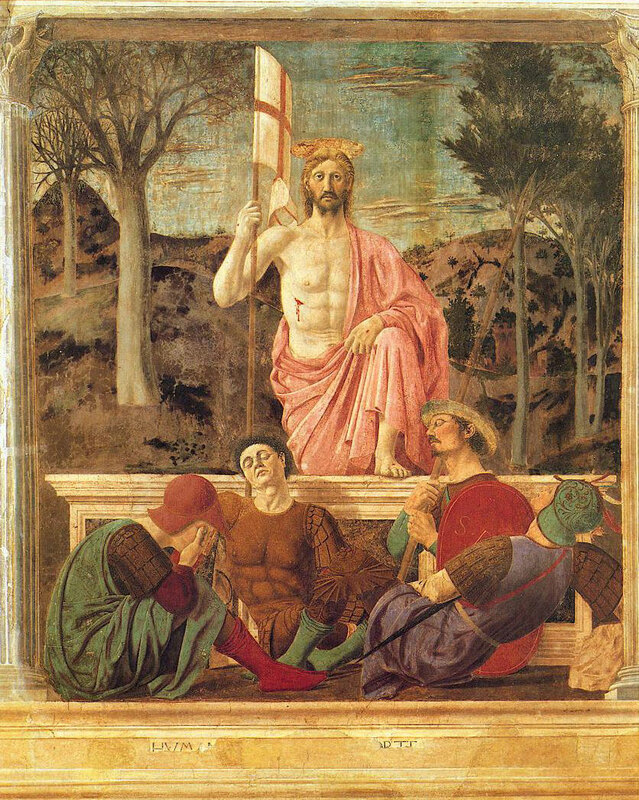 But so famous is “Piero della Francesca”, who was the first in history to lay the foundations of perspective painting. He painted (around 1463-65) the “Resurrection of Jesus” on the “Valtiberina”hills, illustrating their particular color which at sunsets reflects a particular violet light. 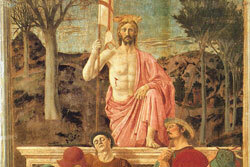 Aldous Huxley in his 1925 essay described "The Resurrection" as the world's "best picture": "It stands there before us in entire and actual splendor, the greatest picture in the world”. This fresco is now visible in the commune's council hall .. the figure of Jesus "both protects the judge and purifies the judged" according to critic Marilyn Aronberg Lavin. The landscape, immersed in the dawn light, has also a symbolic value: the contrast between the flourishing young trees on the right and the bare mature ones on the left alludes to the renovation of men through the Resurrection's light. Famous also for the painting “Madonna del Parto” visible in the nearby town of Monterchi, a world famous painting to the tribute of his mother born in Monterchi. Sansepolcro is also famous as the birth place of Friar Luca Pacioli in 1445, known as the “father of accounting”. In 1494, the first book on double-entry accounting was published. The author was Luca Pacioli. 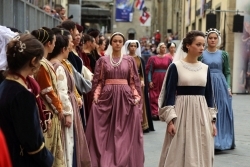 His impact on accounting was so great that five centuries later, accountants from around the world gathered in the Italian town of San Sepolcro to celebrate the anniversary of the book's publication. The first accounting book actually was one of five sections in Luca Pacioli's mathematics book titled "Everything about Arithmetic, Geometry, and Proportions." This section on accounting served as the world's only accounting textbook until well into the 16th century and thanks to the polyhedral, he also evolved the letters of the alphabet. In these lands today, we still breathe the spirit of these special pioneers, people devoted to their work and sacrifice that is today reflected in the clean facades of the houses which carry forward the traditions of commercialism and craftsmanship in the form of local production of lace, precious metals, furniture & fabrics. Even today in the narrow medieval streets of Anghiari, Sansepolcro , Monterchi and Citerna , you will discover doors of convents and austere buildings which once housed the beginnings of these ancient trades. Today the valley is alive thanks to the cultivation and processing of tobacco, sunflower oil and the production of artisan production of hams and sausages and is famous for the production of pasta, thanks to the world renowned “Buitoni” company which was founded in 1827. The valley is also famous today for the production of medicinal herbs cultivated by the company “Aboca”, renowned the world over. The production of gold and silver jewelers objects remains important and for which fame extends all over the world, as a consequence of trade fairs and exhibitions. 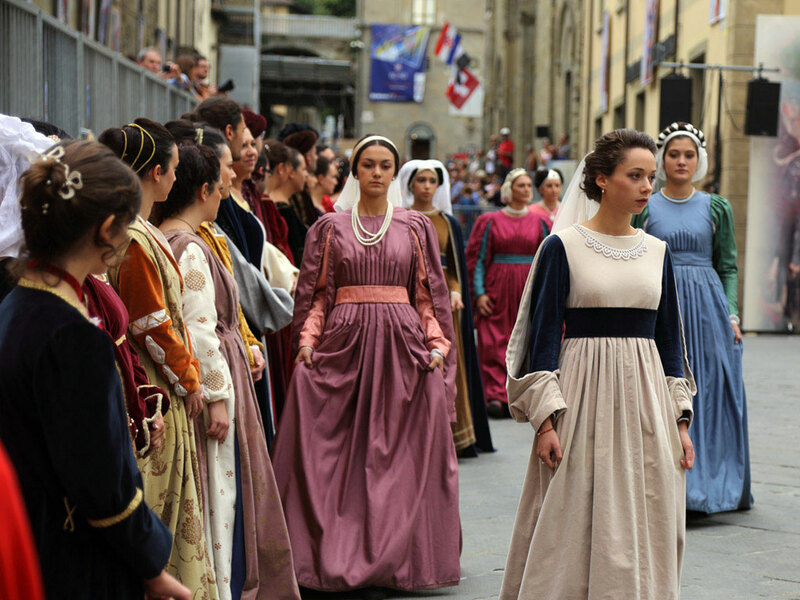 Also a particular mention deserves to be made to the production of fabrics and handmade laces, to the production of clothing and accessories which bear the brand names of top Made in Italy fashion brands and more recently to the establishment of the “SMR Fashion UNIVERSITY”. A new comer is the creation of “SENS.US” hair care products, produced in Valtiberino and destined for use by professional hairdressers the world over supported by education programs of the GLOBAL Hair Fashion ACCADEMY. SENSUS has also created an art gallery called “Opera & Art “ to exhibit local and international art as a homage to artistic creativity and hosted recently the famous works of ANDY WARHOL.